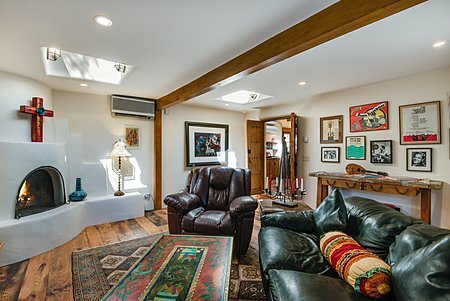 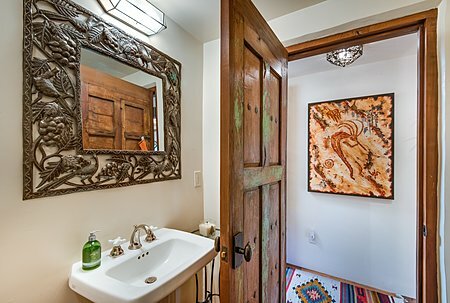 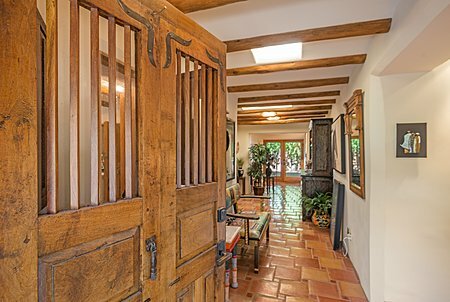 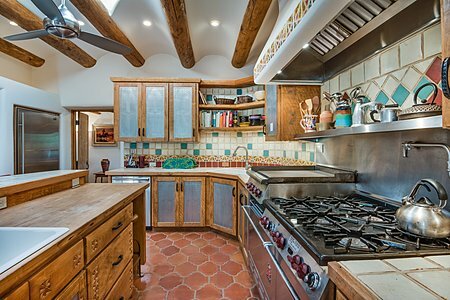 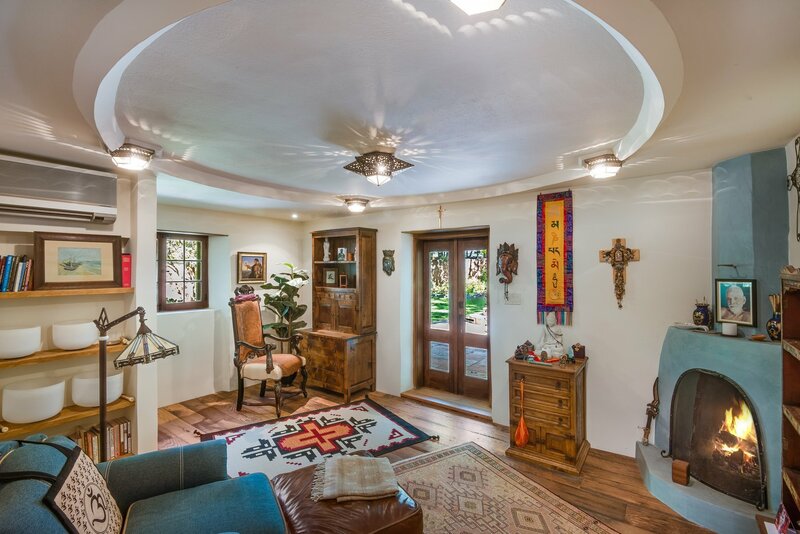 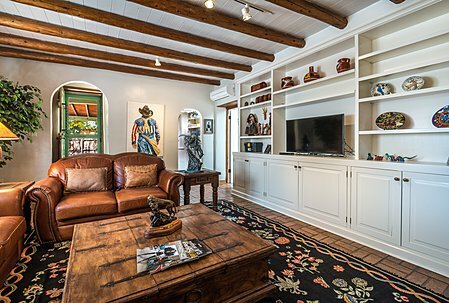 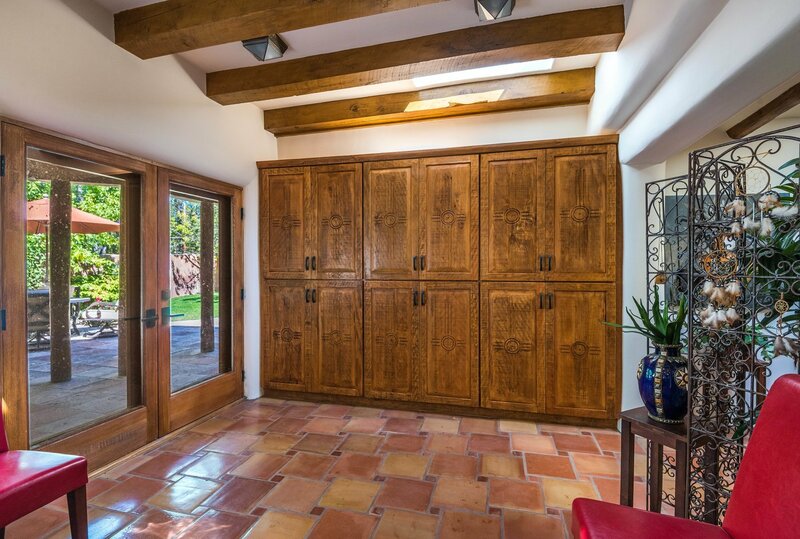 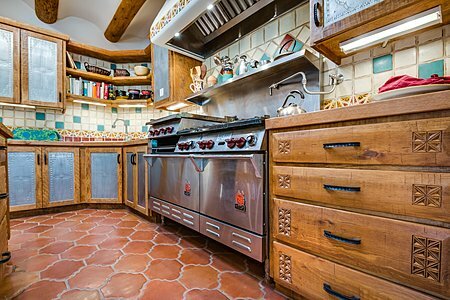 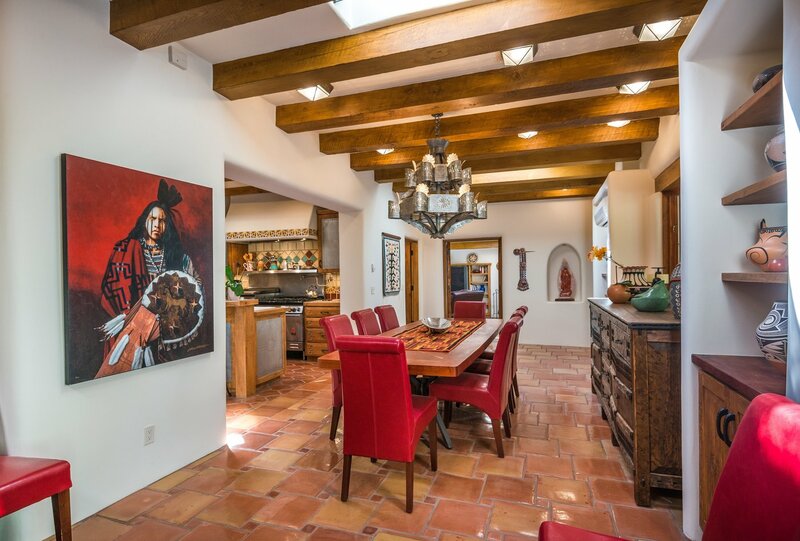 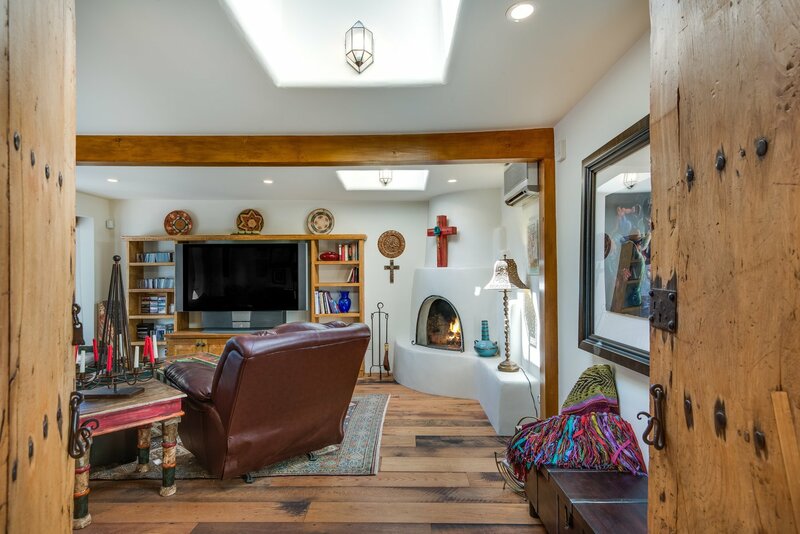 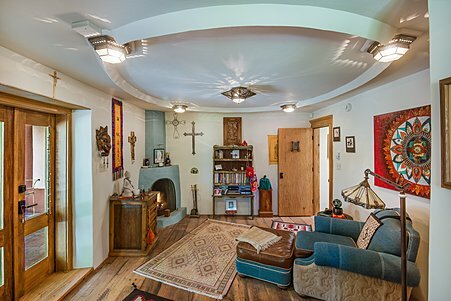 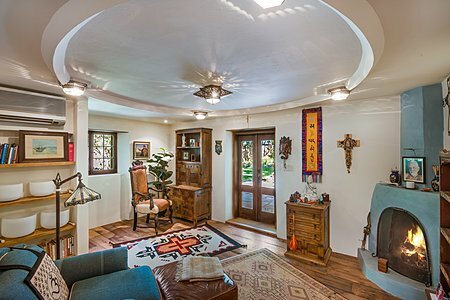 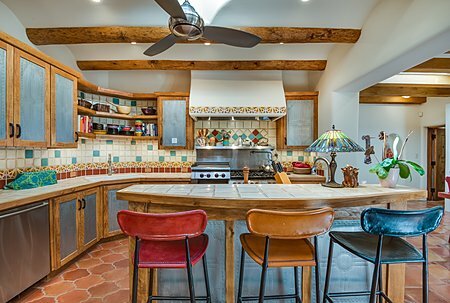 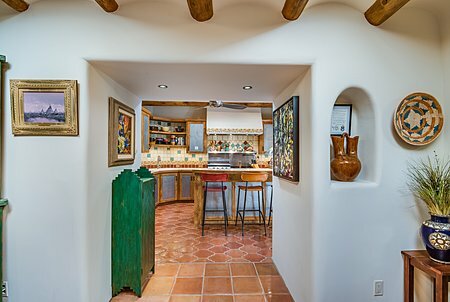 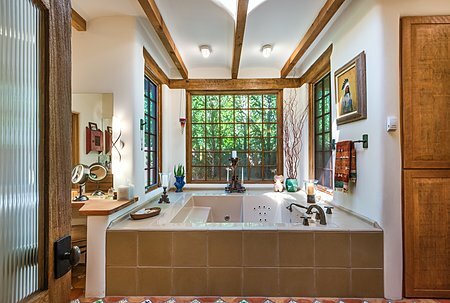 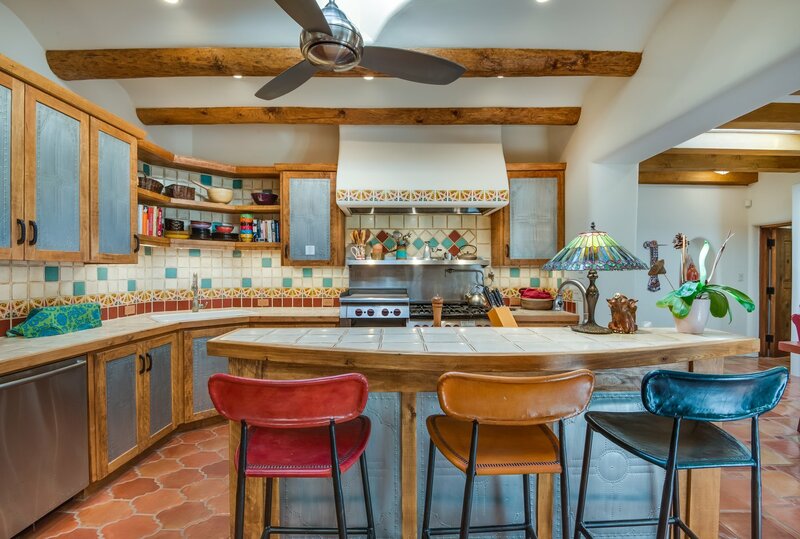 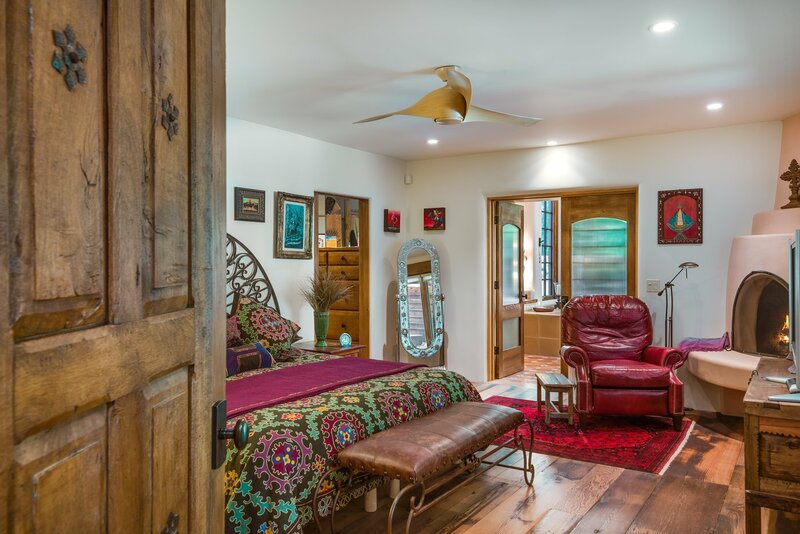 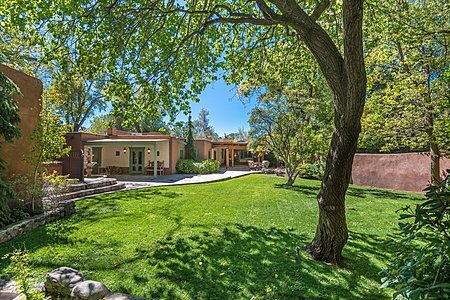 Traditional New Mexico style pervades this delightful estate on a quiet Eastside lane near the galleries and restaurants of Canyon Road. 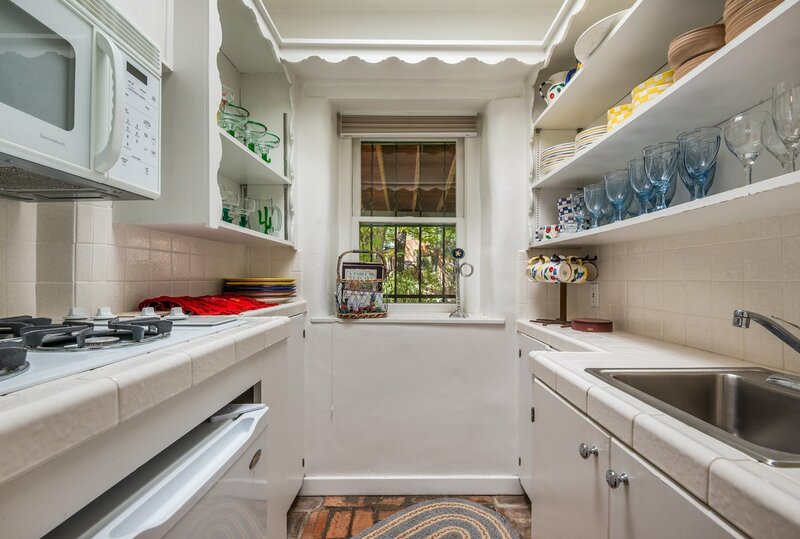 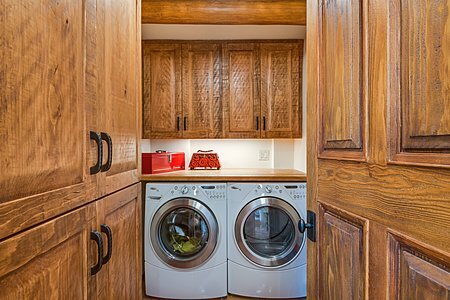 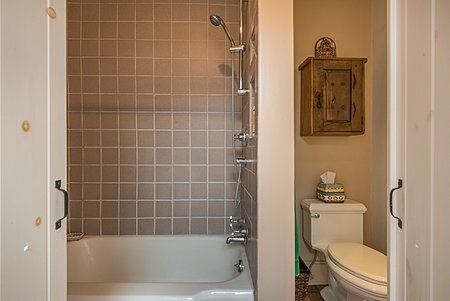 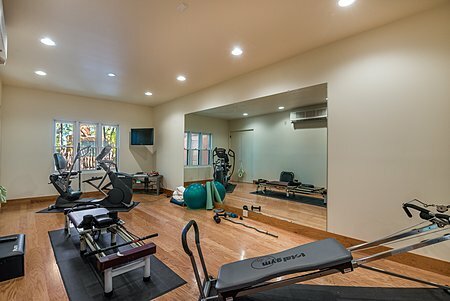 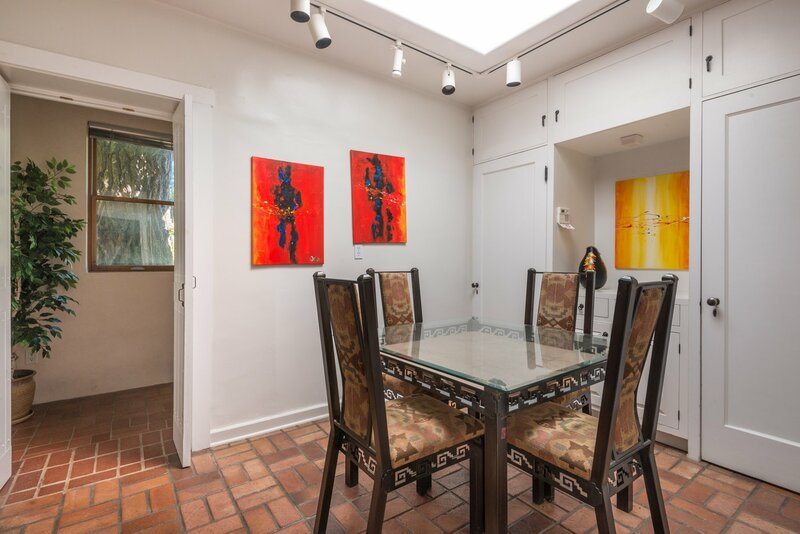 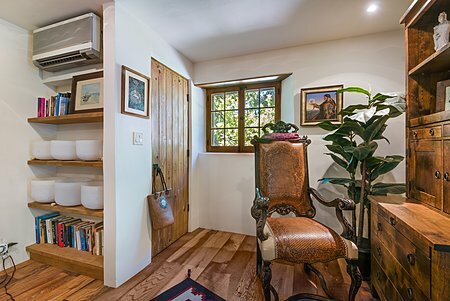 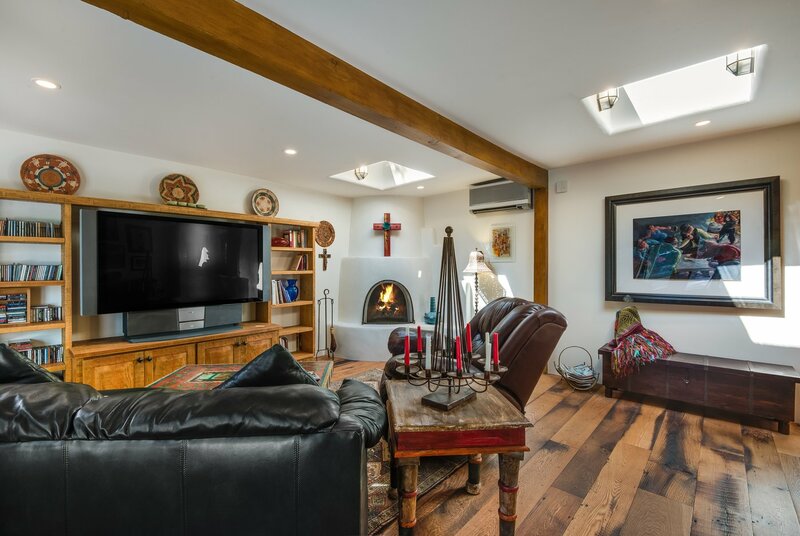 The enviable compound includes a refined two-suite home, an oversized two-car garage with a well-appointed private fitness room, and a charming one-bedroom guesthouse. 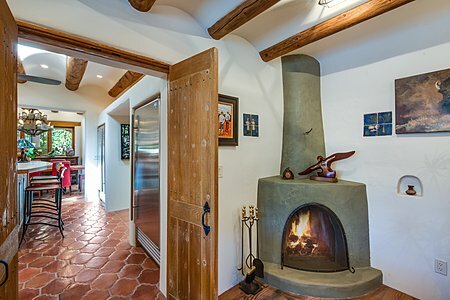 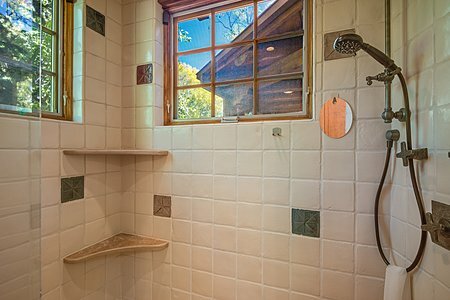 Perfect for pursuing the quintessential Santa Fe lifestyle, the main residence features ceiling vigas, kiva fireplaces, colorful tilework, formal living and dining areas, an open kitchen with professional-caliber appliances, a relaxed den, a media room, a restful master suite with an expansive walk-in closet and spa-like bath, and a secluded guest wing. 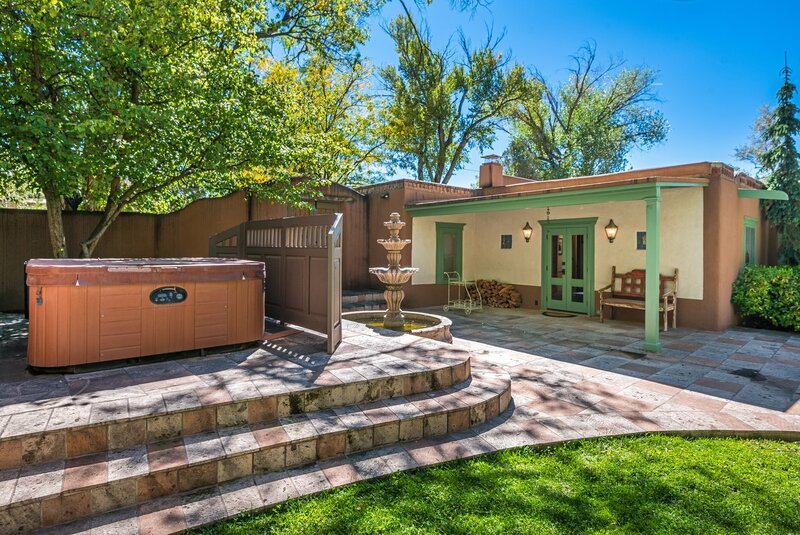 Enveloping it all are mature trees and flowers, portales, patios, fountains, an alfresco hot tub, and an incredibly lush lawn kept green by a private well. 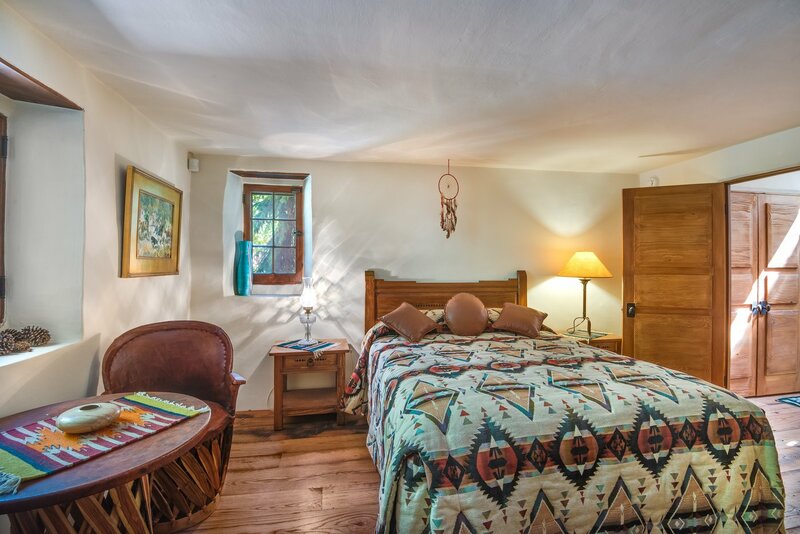 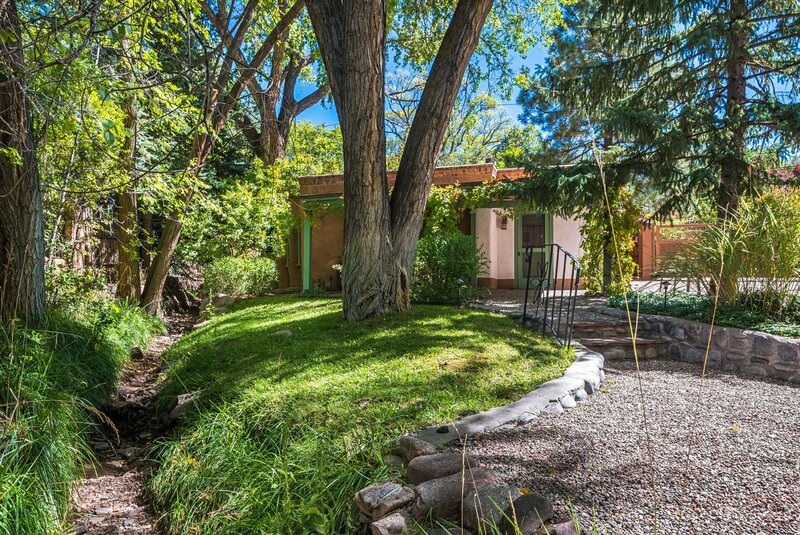 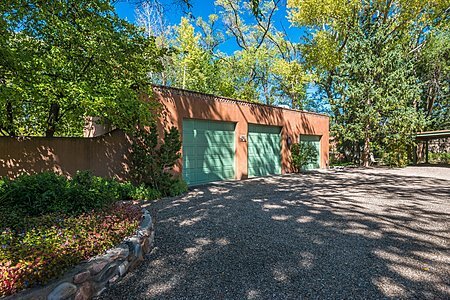 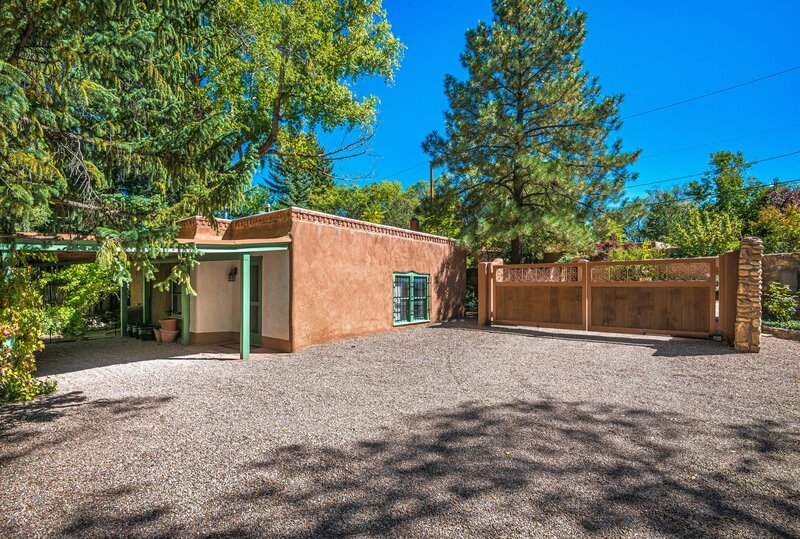 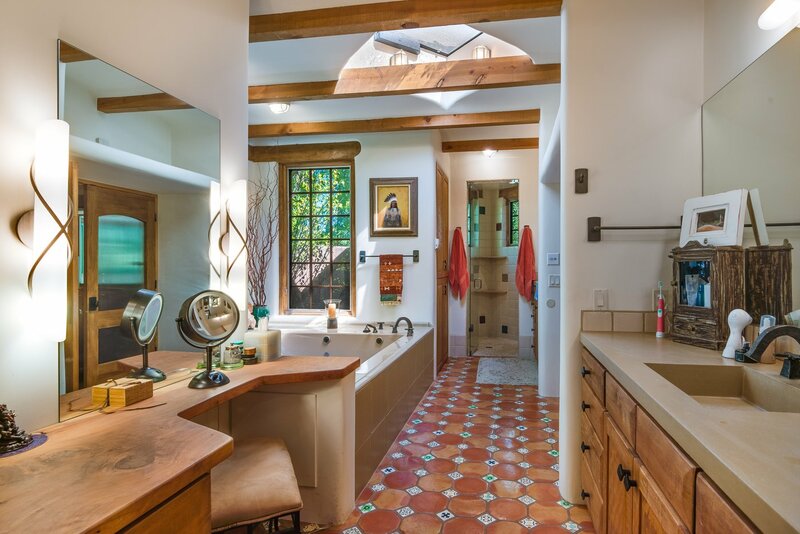 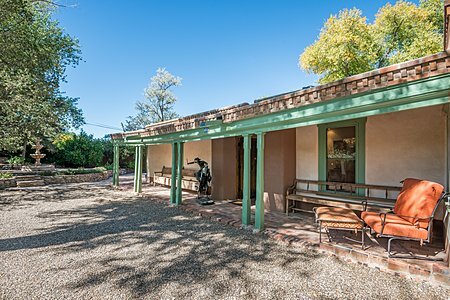 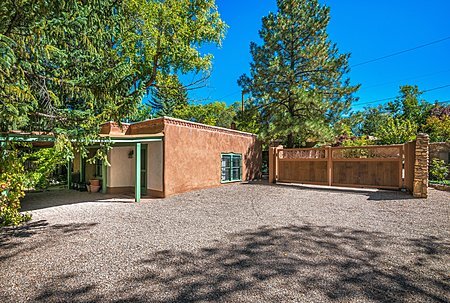 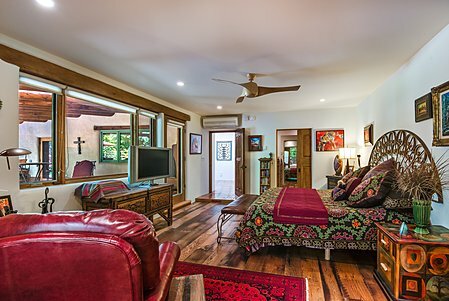 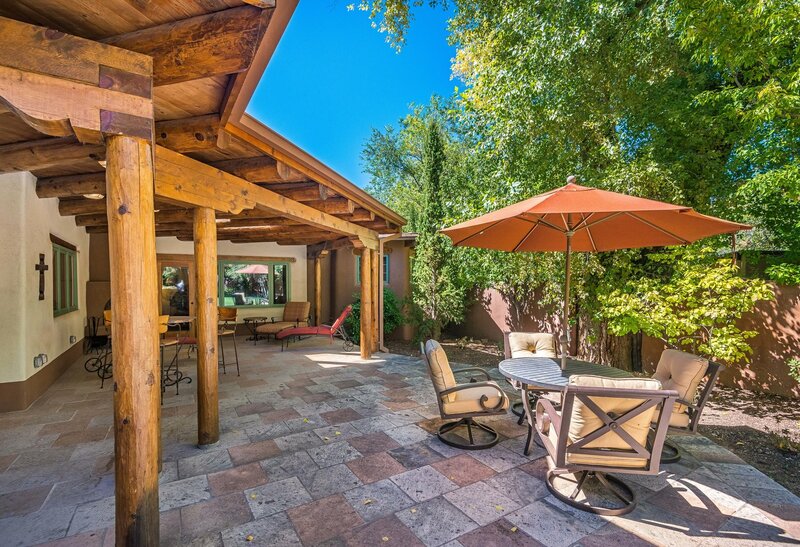 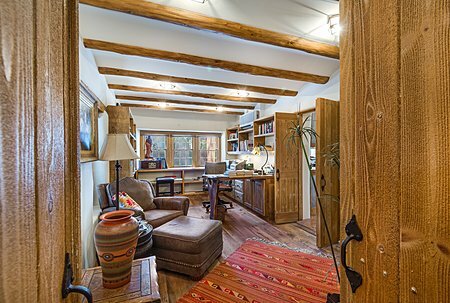 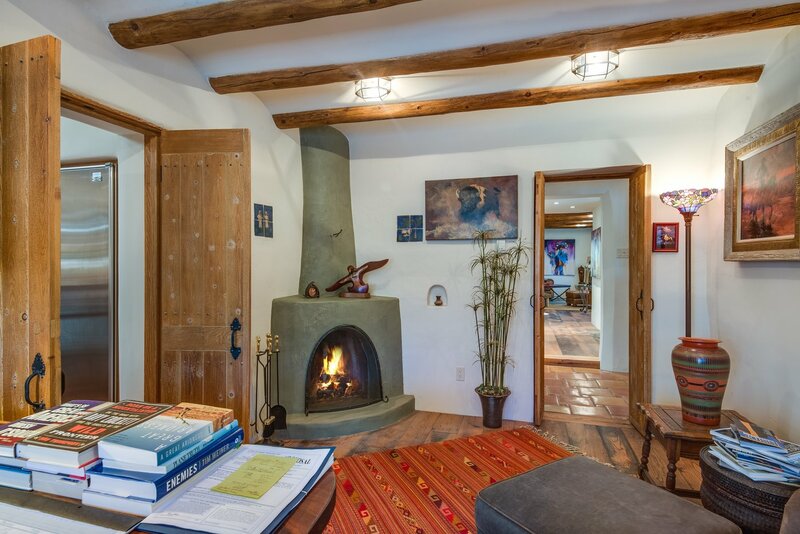 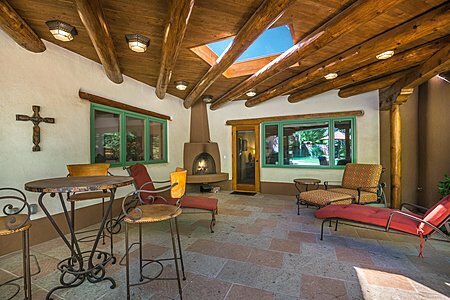 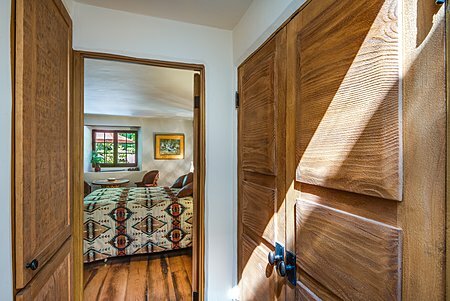 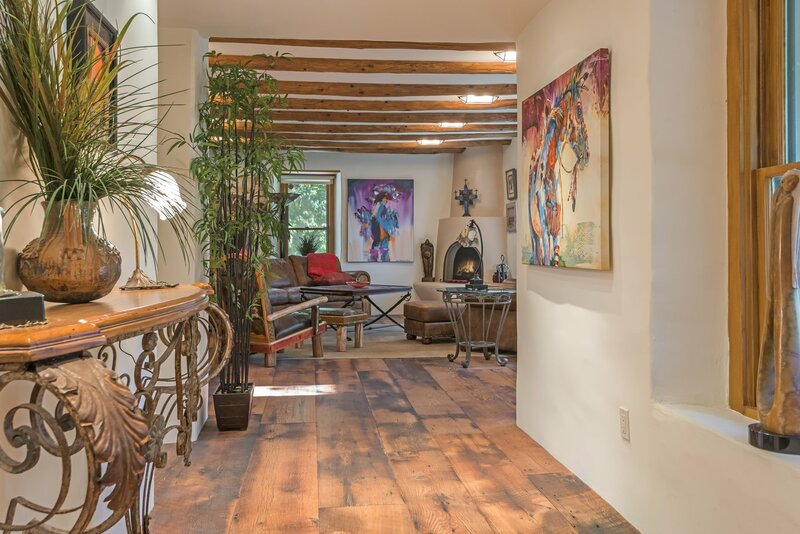 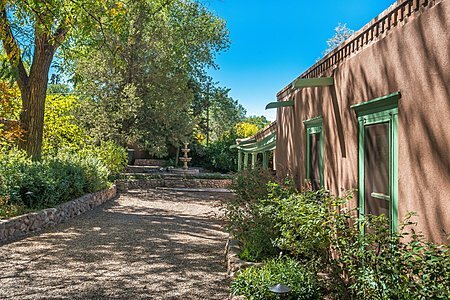 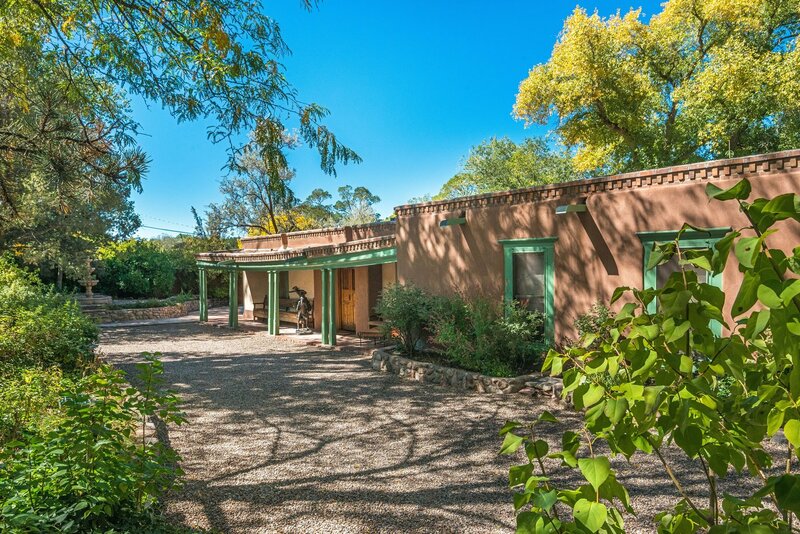 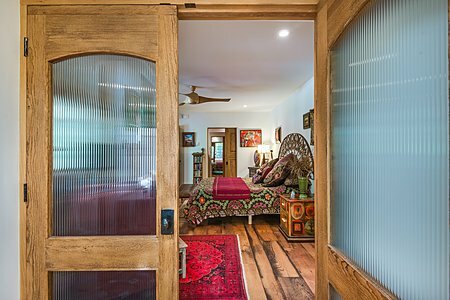 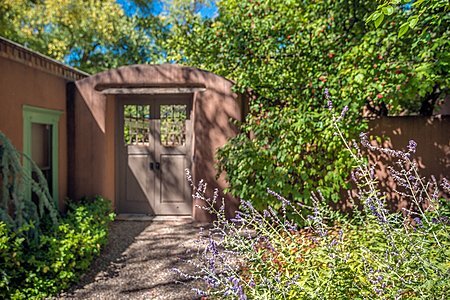 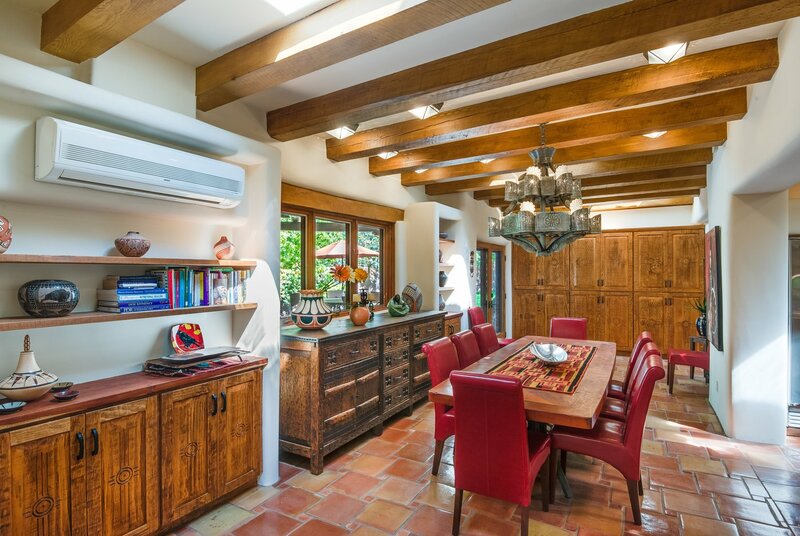 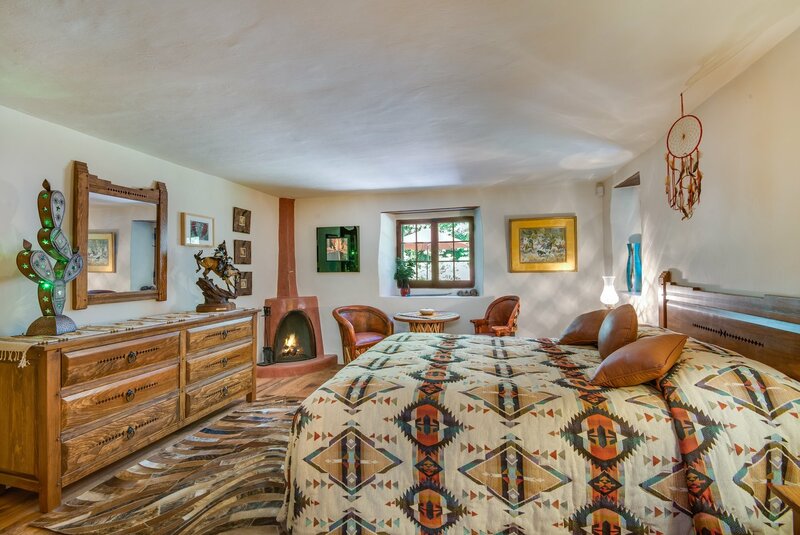 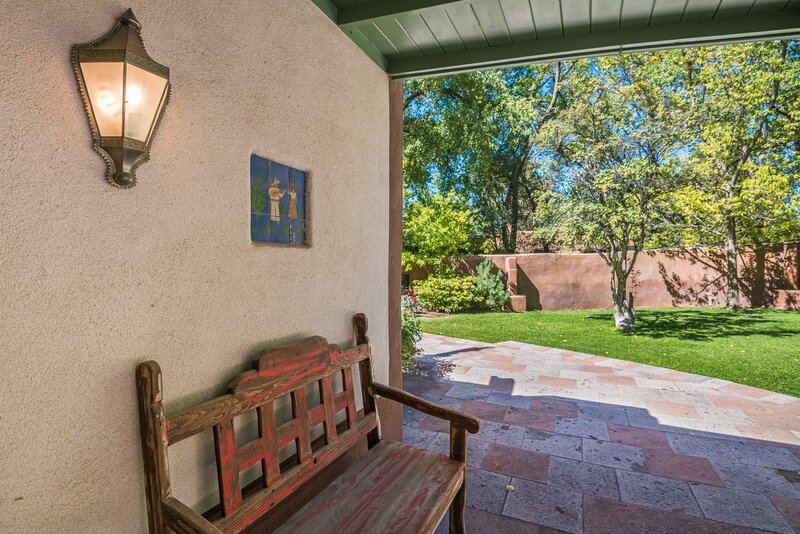 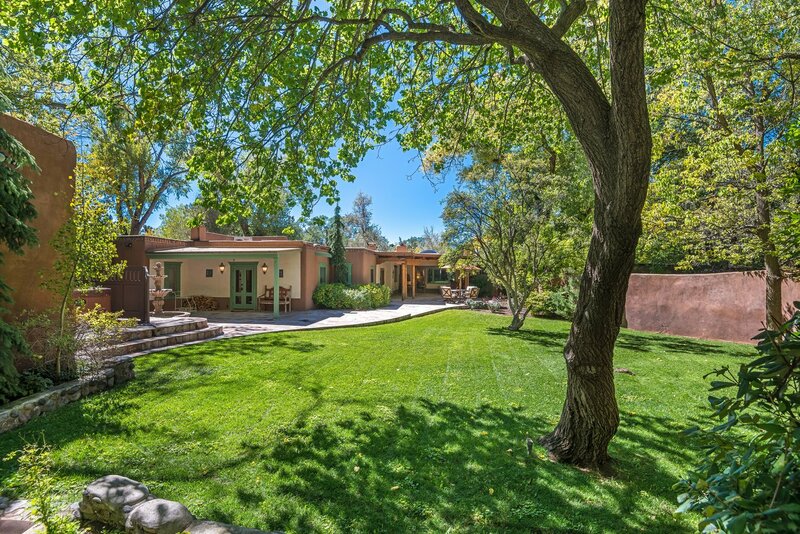 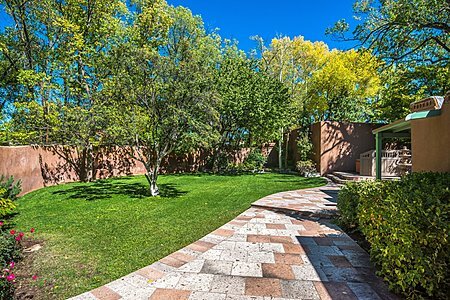 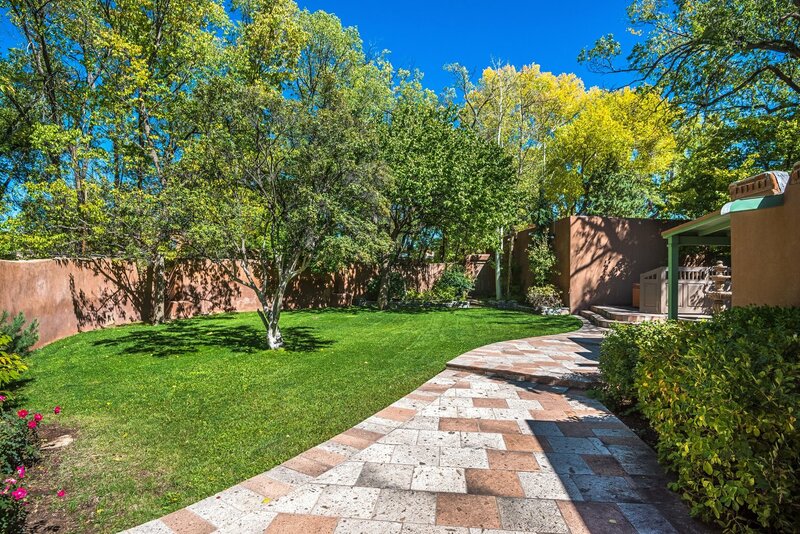 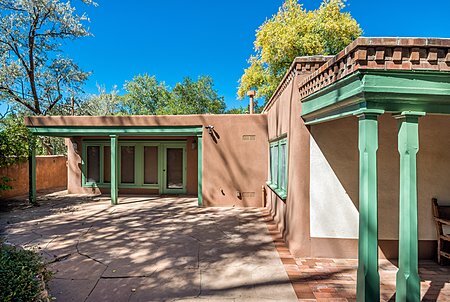 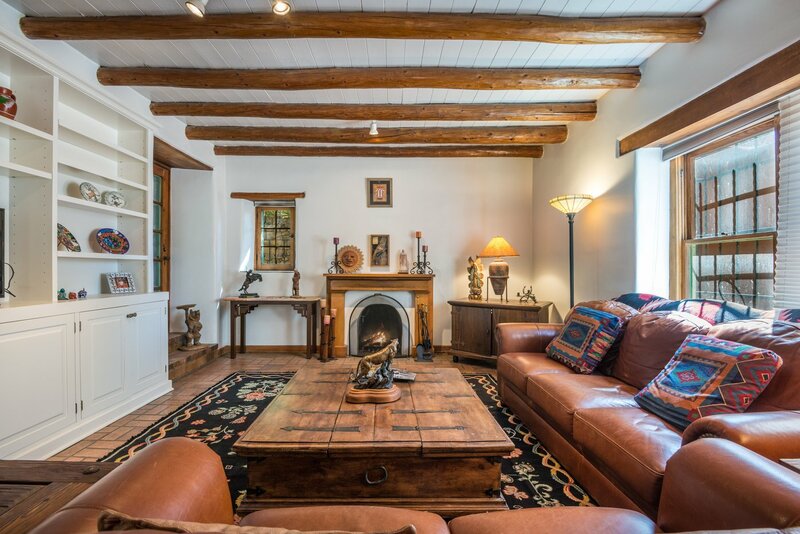 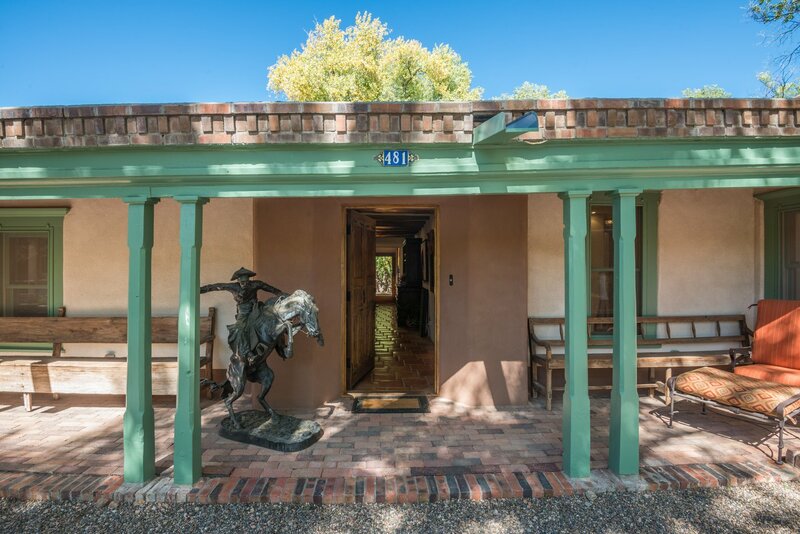 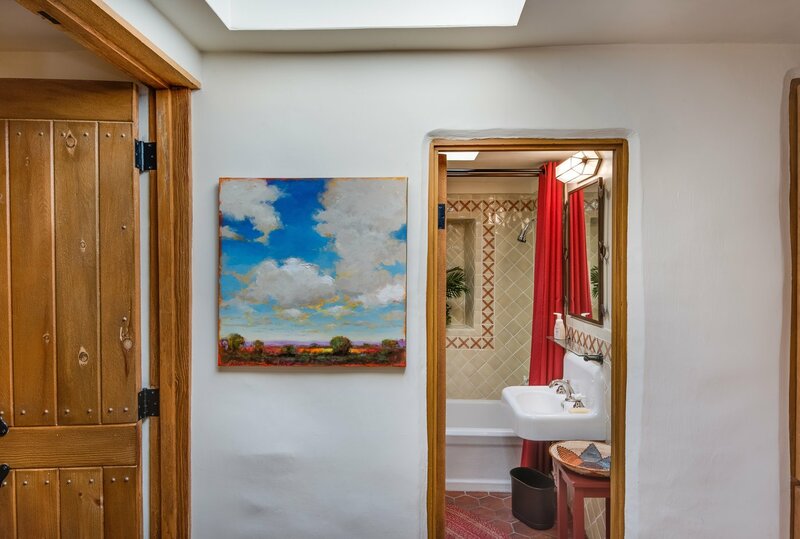 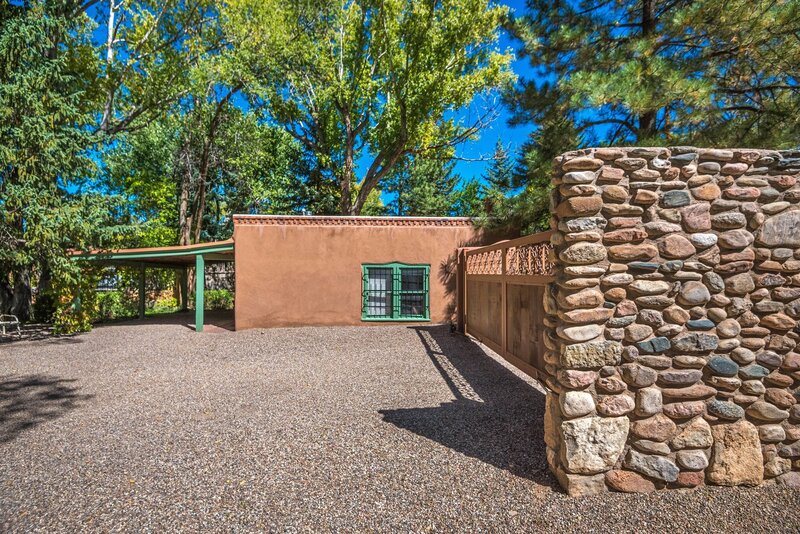 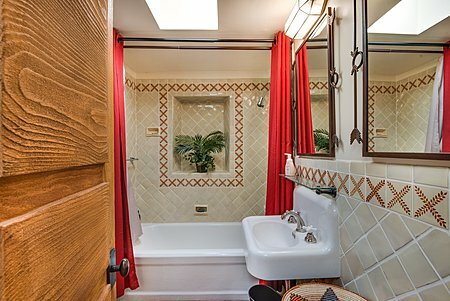 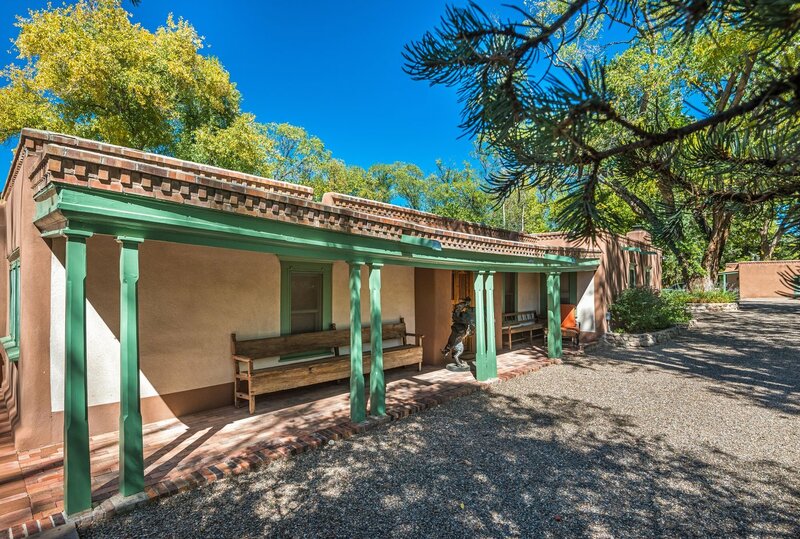 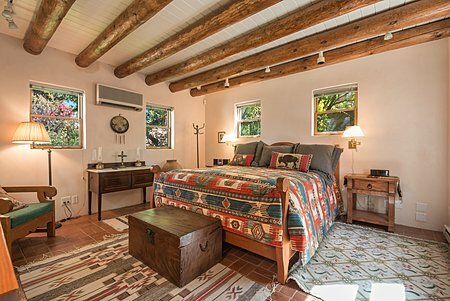 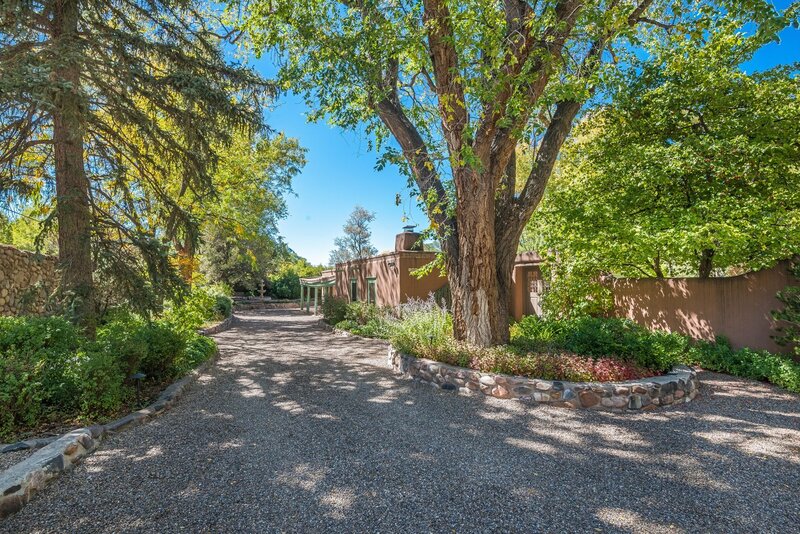 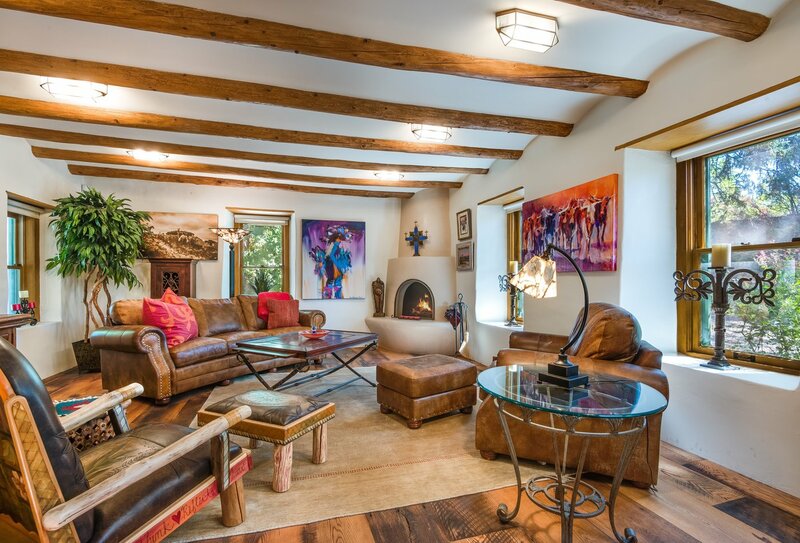 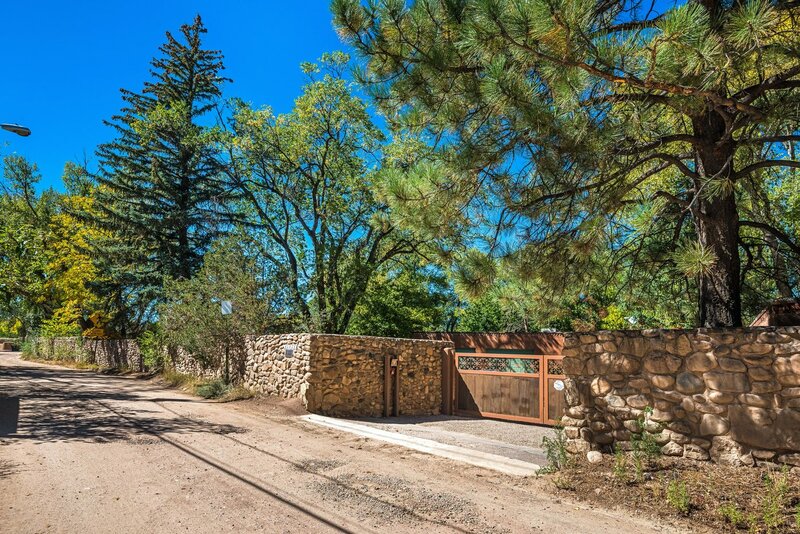 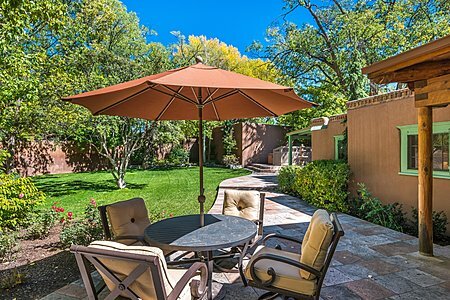 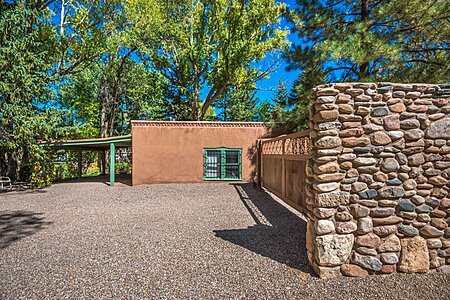 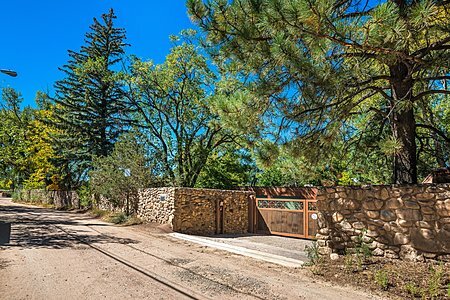 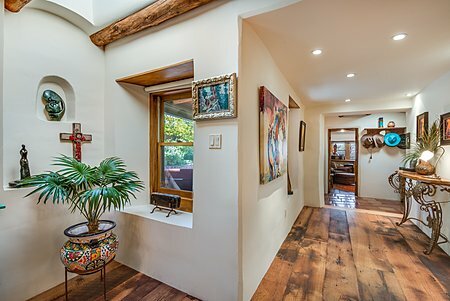 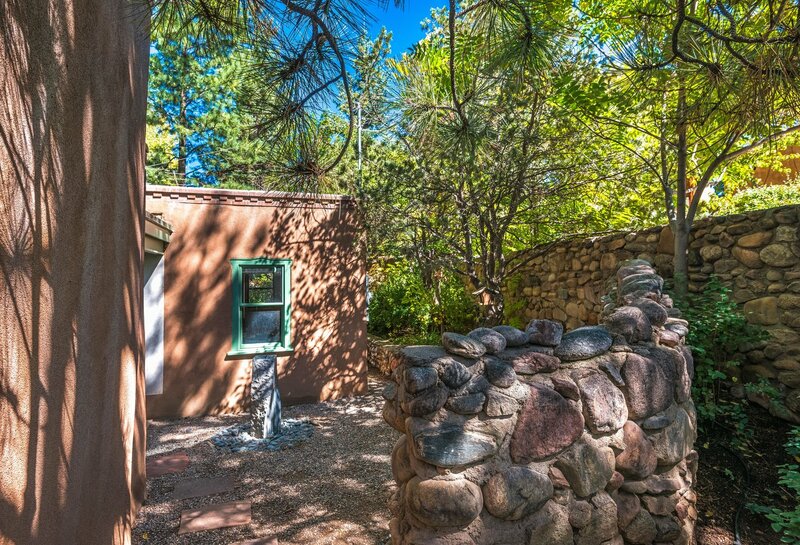 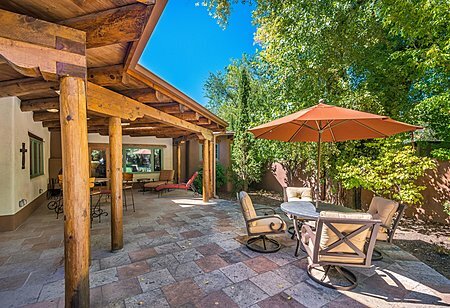 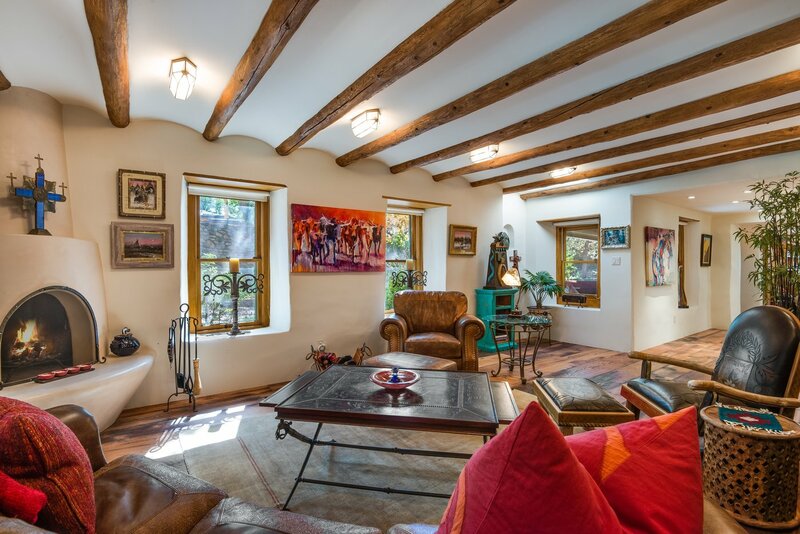 The city's legendary Acequia Madre runs through the grounds, solidifying its stature as one of the most desirable classic properties in the city.